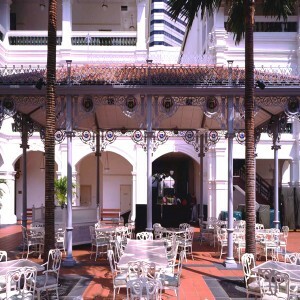 As Robinson Iron’s first international project, the restoration of ironwork on the 1887 Raffles Hotel located on the island nation of Singapore, required extensive rendering of the ornament, sculpting clay originals and developing detail drawings. The only existing original ironwork remaining was a fragment of railing embedded in a stucco wall. Working from existing historic drawings of the original ironwork as it was manufactured by Walter MacFarlane & Company’s Saracen Foundry of Glasgow, Scotland, the Robinson Iron team began the replication of the evocative cast iron structures managing every aspect of the project — renderings, patternwork, engineering and on-site erection. 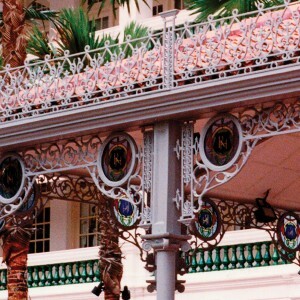 After casting from molds developed to replicate the drawings, detailed and painted, the ironwork was shipped and installed by the Robinson Iron team to again showcase the 1887 Raffles Hotel. 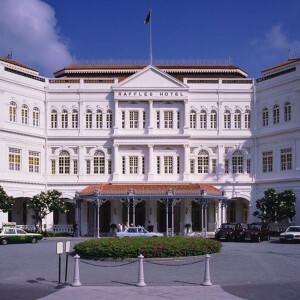 Note: Raffles Hotel is now owned by Qatar Diar, the sovereign wealth fund of Qatar. In an announcement on May 21, Raffles Hotels and Resorts shared that the Raffles was named the Best Hotel in Asia for the fifth year in a row in ULTRA, the Ultimate Luxury Travel Related Award. SsangYong Engineering Construction Co. Ltd.